Getting to see some of the world’s largest and most interesting creatures in their natural habitats is truly an awe-inspiring experience. There’s one thing seeing them in books and documentaries, but there’s nothing quite like seeing these magnificent beasts in the flesh. When you live in a town or city, the closest you often get to wildlife is pigeons and rats! So why not make your next trip about seeing some of the most incredible species this world has to offer. Bored of the same old beach holidays? Why not consider one of these awesome animal adventures instead. The Galapagos is a volcanic island, just over six hundred miles off the coast of South America and belonging to the country of Ecuador. It’s considered one of the best wildlife viewing locations on the planet and is home to species and varieties of animals that simply don’t exist anywhere else. From giant tortoises to unique species of iguanas, birds, penguins, seals and much more. There are a number of Galapagos tours of the island giving you the opportunity to see the sights and view these incredible animals as well as learn more about the various conservation projects on the island. It’s completely different to anywhere you will have been before, so if you’re after a truly unique trip- it’s one to consider. Some of the world’s most powerful land mammals live in Africa- lions, elephants, buffalo, leopards, and rhinos are known as the ‘big five.’ Lots of countries in Africa offer safari experiences; Duba in Botswana gives you the chance to see some of the largest and most magnificent lion prides. The sparse plains of the Mundulea Reserve in Namibia give you the opportunity to view zebras and rhinos as well as learn more about the conservation efforts in the area. In the grassy floodplains of the Zambezi Valley you’re able to spot leopards, elephants, and crocodiles. 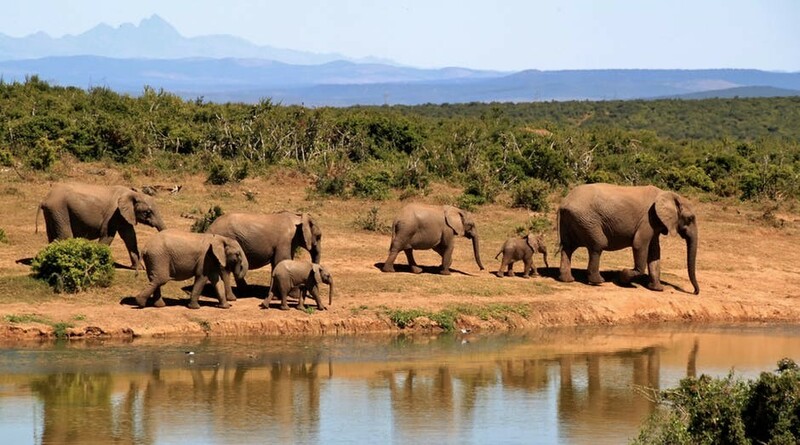 While some countries in Africa are considered unsafe for tourists to visit due to political instability and crime, these are all classed as safe for travelers, and you get to see some of the world’s largest animals in person. There are lots of different places around Canada you can watch whales. Depending on the location and time of year, you could see blue whales (the biggest animal on earth today), humpback whales, minkes, fin whales, orcas, belugas and dolphin whale species. Go on a safari or a tiger tour along the Koshi, the biggest river in Nepal. 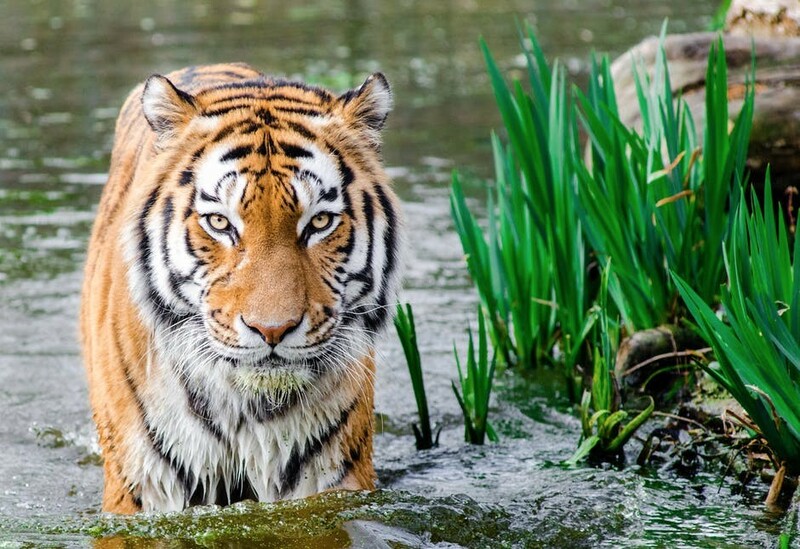 Seeing these majestic Bengal tigers is truly a breathtaking experience, not just because there are less than a few thousand of them in the wild. You can also expect to see endangered greater horn rhinos as well, as well as fantastic bird watching experiences. You could go through nature walks through forest reserves and visit Koshi Tappu national park. If you’re looking to be awed by animals, you won’t be disappointed!